Discovering Our Heritage – A Change of Birthday! Do you fancy being captain of a Wollaston cricket team sometime? How about doing it for 36 years on the trot? Wollaston Cricket Club, formed in 1889 (scroll down to read more) and situated in the heart of the East Midlands, is a CLUBMARK accredited village club playing on Saturdays in the Northamptonshire Cricket League. The First Eleven competes in the Premier Division with the Second Eleven in Division Three. In their second season in the NCL the Third Eleven finished runners-up in Division Thirteen and gained promotion several times and now compete in Division Nine. The Club has a thriving Youth Section with teams at Under Nine, Under Eleven, Under Thirteen and Under Fifteen. Junior County representative games are also played at Wollaston where the facilities, both on and off the field, are of the highest quality. back to 1892, with reviews of previous seasons. Check out the statistics and Club records going back to 1957 when Wollaston entered the Northants County League. THE VILLAGE pages give a comprehensive background of Wollaston the Village and its surroundings. LOCATION: London Road Wollaston Northamptonshire. Wollaston Cricket Club, situated in the heart of the East Midlands, is a CLUBMARK accredited village Focus Club playing on Saturdays in the Northamptonshire Cricket League. We have a thriving Youth Section with teams at Under Eleven, Under Thirteen and Under Fifteen. In 2010 the Club's Third Eleven entered division Division Thirteen of The Northamptonshire Cricket League and subsequent promotions have taken them to division Nine. Junior County representative games are also played at Wollaston where the facilities, both on and off the field, are of the highest quality. On our website you will find information on most facets of the Club including up to date photographs going back to 1892, with a complete in-depth review of previous seasons. Read the captains' reports and check out the statistics and Club records going back to 1957 when Wollaston entered the Northants County League. For a number of years, using the knowledge that had been passed down over time, it was agreed that the year 1870 was most likely to be the year that Wollaston Cricket Club was founded. Consequently this date was duly adopted as our foundation year, and bearing this in mind, it would mean that the year 2020 would have special significance for the Club. However, it is now apparent that things are not that simple! After further investigation it would seem certain that cricket was played in Wollaston before 1870 - but not under the auspices of a “Wollaston Cricket Club”. Taking this into account it means that, although somewhat pedantic, a constitutional adjustment is needed for the sake of accuracy. Newspaper cuttings from the local paper at the time certainly confirm that cricket was being played in Wollaston before 1870. In fact there are several match reports from 1865 including a match between “Wollaston” and ‘Young Northampton,’ and in 1875 Wollaston Mechanic CC played '22 of the Parish', the match staged in a field belonging to George Burnham Esq. A report from 1877 shows that there were definitely several clubs in the village and along with Wollaston Mechanic Cricket Club, were Star CC and Joseph Hill's Park CC. One remarkable game from this period was between the afore-mentioned Wollaston Park and The Wellingborough United CC. Park batted first and amassed 220 then bowled out Wellingborough for just 13. Sent in again, United once more made only 13, but this time for the loss 2 wickets – after which the game was called off when the rain came! Colonel Hill was an instrumental part of the Park Cricket Club and we know they played within his extensive parkland in the grounds of Wollaston Hall (now Scott Bader Commonwealth) where he resided. Indeed Colonel Joseph Hill C.B., J.P., D.L was a very influential person towards the latter end of the nineteenth century, and was a very important figure in the early days of Northamptonshire County Cricket Club. Born in 1850, he was educated at Eton and Caius College Cambridge and served in the South African war. He was made Hon. Colonel in the army in 1902. Under his guidance the club were very successful – especially in the 1880’s where they went on to win the Northamptonshire Rural and District Challenge Cup three times (1883, 85 and 86) and consequently were presented with the cup in perpetuity (which is now in our possession). 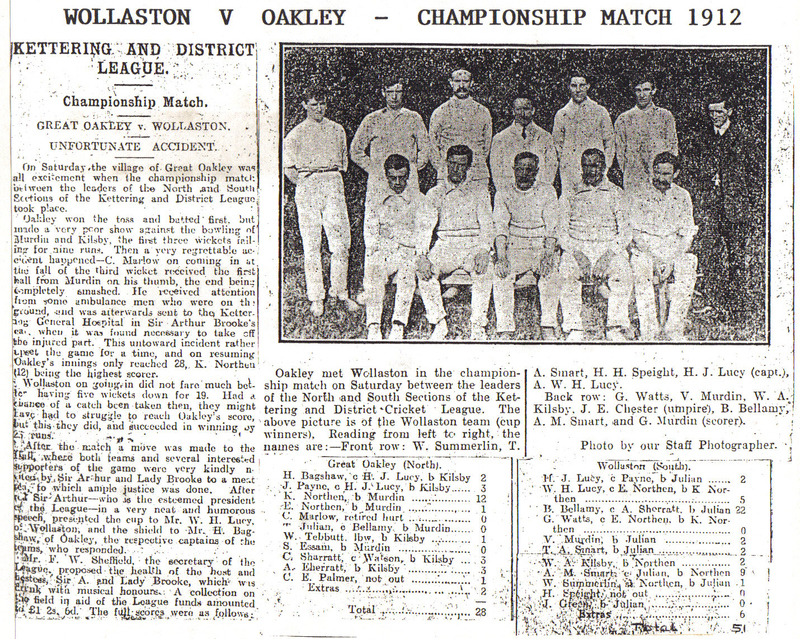 So Wollaston Cricket Club was officially born in 1889 and the amalgamation proved successful. With the new club based at Wollaston Hall and under the benevolent eye of their host Colonel Hill, they went on to win the Northampton Cup in 1892 and the Kettering and District League Second Division (South) in 1912 and 1913. In 1922 the Club needed a new home and the President, Mr Gibbard, offered use of a piece of his land which was referred to for many years as “The Meadow,” which, in the late forties/early fifties was expanded and became part of Wollaston Playing Field. The twenties and thirties proved a golden age for Wollaston C.C. In addition to the first team and recently formed second eleven winning their respective divisions, several Wollaston players received County recognition. Ben Bellamy (wicket keeper), Vern Murdin, Reg Partridge and Cyril Perkins all found the first rung of the cricketing ladder at Wollaston before making their mark for Northamptonshire over many years. In 1957 Wollaston joined the Northants County League followed by their Second team in 1961. The Club won the old Second Division (now the Premier) in 1959-60, 61 and again in 1973 and have been runners up on several occasions including 2006. In 2006 the Club reached the Board 20 Finals Day At the County Ground-losing in the semi final and in 2007 won the division one title and gained promotion to the premier division. In 2009 the Club won the Board 20 Plate. The Club has a thriving Youth Section under the guidance of a senior coach and competes at Under 11, Under 13 and Under 15 age groups, and has strong links with several schools in the area and is now Clubmark accredited. The Club also stages and encourages Junior NCB representative games at Wollaston and considers this aspect of the club to be vitally important. 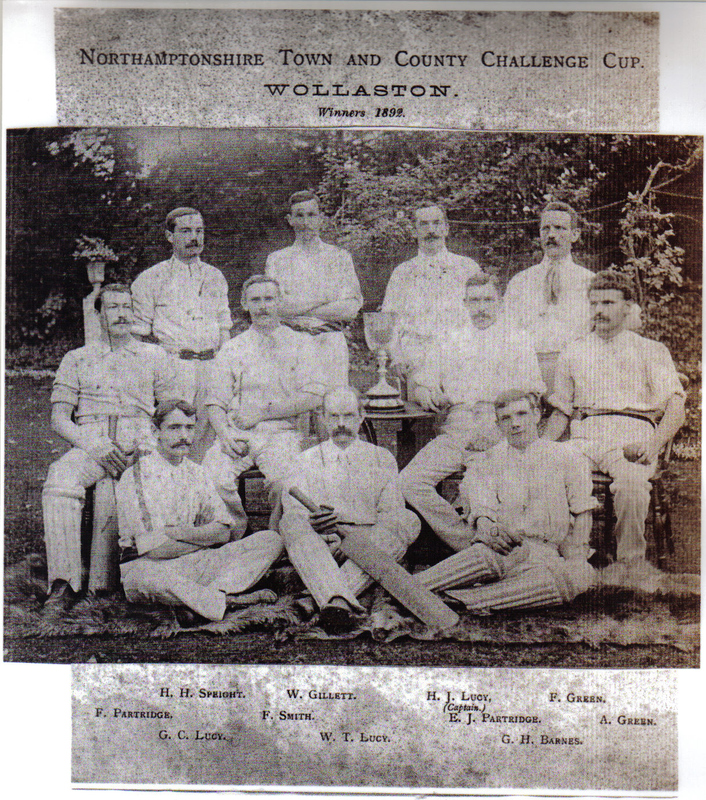 Except for one season (1991) the First Eleven played in the second tier of Northamptonshire cricket from 1957 until 2007 but after winning the Division One title we were promoted to the top level (Premier Division) in 2008. A great achievement and one that the Club and everyone associated with it (members, vice presidents, sponsors and supporters) should be justly proud of. In 2006 & 2014 the Club reached the Board 20 Finals Day At the County Ground-losing in the semi finals. In 2010 the Club added a Third league team for the first time. Competing in Division Thirteen of the Northamptonshire Cricket League and following subsequent promotions the Thirds have progressed upwards to Division Nine. Wollaston Cricket Club is celebrating after receiving national accreditation from Sport England and their respective National Governing Body. The accreditation scheme has been developed by Sport England and adopted by National Governing Bodies in 16 sports. It has been designed to recognise and accredit sports clubs that are committed to providing a safe and child friendly environment for children and young people. In order to gain accreditation clubs must demonstrate a high standard in the four key areas of the scheme; duty of care and child protection, coaching and competition, sports equity and ethics and club management. The scheme encourages clubs to review and build upon existing practices to ensure that the environment in which they operate is safe, effective and child friendly. It also enables parents and teachers to easily identify clubs which are working within minimum standards in relation to health and safety and child protection. 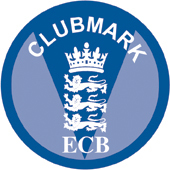 Wollaston Cricket Club is a Clubmark accredited club. The following information from the Sport England website explains what this means. Ensure the well-being of young people whilst in the care of adults, other than their legal parent(s)/carer(s). Enthuse young people to enjoy sport and active recreation to build a healthy and active lifestyle. Enable young people to use their leisure time creatively. Allow young people to optimise their talents and personal ability. Identify and support the development of the most talented young people. National governing bodies of sport (NGBs) and county sport partnerships (CSPs) award Clubmark to proven high quality clubs. The national scheme has been in place since 2002 and there are now 2,500 accredited clubs across 25 sports. Our aim is that by 2008 this will have increased to 5,000 and that Clubmark will be the stamp of approval to which all sports clubs aspire. All organisations involved in accrediting clubs will be subject to a licensing process, following the recommendations of the Clubmark Review (March 2006). This highlighted the need for cross sport moderation, robustness and integrity within the system. The licence will be rolled out in the next 18 months and is designed to ensure that all organisations involved work to a minimum operating framework and can prove it. This will help to establish Clubmark as the mark of high quality junior clubs. The England and Wales Cricket Board is fully committed to supporting the principle and practice of equity. No participant, volunteer, job applicant or employee will receive less favourable treatment on the grounds of age, gender, parental or marital status, colour, race, ethnic origin, creed, disability, social status or sexual preference or will be disadvantaged by conditions or requirements that cannot be shown to be relevant to performance. The ECB and its partners in the sport of cricket are united in encouraging all involved in the game to adopt this vision for equity.